To show you how to add a resource, let’s use the example of a party room. In this example we will set up the party room to be available for bookings whenever the gym is open except Mondays, with earlier closing hours on the weekend. 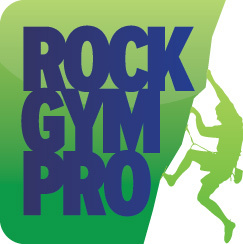 Our party room is also unavailable on December 25th due to the gym being closed for the holiday. The party room will also be unavailable June 1-15 for renovations. To add a new resource click the Add button. This will bring up a pop up box where we will give the resource a name and specify the number of concurrent bookings and participants it can hold. Click OK.
Next we’ll set up the schedule. Click the Add Rule button to bring up a window to set the day option. We’ll click the Days of Week checkbox and select every weekday except Monday. Click OK.
Now we’ll add the times the party room is available on those days. Click on the rule and then click the Add Time button. Our gym is open from 10am-10pm. Click OK.
Now we’ll do the same thing for the weekend by clicking Add Rule again, clicking Days of Week and selecting Saturday and Sunday. Click OK.
With the weekend rule selected, click Add Time. Our gym closes at 6pm on the weekend, so we need to give these two days their own time. Click OK.
Now we need to add in our holiday closure. Click Add Rule, select Yearly and enter the start date of December 25. Do not enter an end date for a single day event. Click OK. Use the arrow button to move this rule to the top to override the weekday and weekend rules. Finally, let’s add in our renovation closure. Click the Add Rule button, select Every Day, and enter a start date of June 1 and an end date of June 15. Click OK. As with the holiday rule, make sure this rule is above the weekday and weekend rules to give it priority.